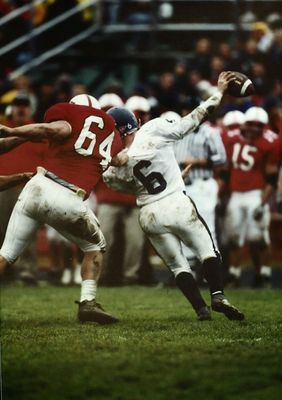 Cortland's #64 Russ Alger trying to take down Ithaca's #6. 2000 Cortaca Jug. Ithaca defeated Cortland 19-14.